What’s the best way for the digitally savvy parent to introduce their kids to programming? The concept of teaching children to program and code is gaining ever greater momentum in the public consciousness, yet it can still be a head-scratcher to pin down in a practical way for even the most tech-conscious adults. Even schools are still getting to grips with the latest update of the computing curriculum, so it’s no surprise that the ideal way to bring programming into the home is a tricky one for many of us who are parents. Those with experience in the field may be conscious about not putting kids off with tech details that are complex and difficult to understand, and those with no programming knowledge of their own may be straight-up baffled about how to clarify it for their girls and boys. Cubetto is the friendly robot for kids that solves the issue in one fell swoop. All the complicated programming work has gone on behind the scenes by the design gurus here at Primo Toys, so what you get is a beautifully simple educational toy that works straight out of the box. We know from or own lived experiences what was noted in a 2013 study: that by the time children enter preschool, a majority of children are likely to have encountered and engaged with digital technology in the home. This is something that early years educators must take into consideration when fulfilling the technology requirements of the national curriculum, and there is a need to come up with ever more creative ways of building upon these skills. And yet building on boys’ and girls’ technological know-how for its own sake is not the end point. The ultimate aim is to harness these abilities to build on toddlers’ communicative and creative skills, to enable them to become well-rounded individuals with the ability to work together and think for themselves. At Primo Toys we believe passionately in learning through play. In fact it is at the heart of what we do. When they encounter the cute robot Cubetto, kids are immediately drawn in and excited to discover for themselves how it works. They become absorbed in the task of self-directed play, two key principles of Montessori education. The learning happens organically, almost by stealth: playing with Cubetto never feels like homework. An experienced voice in the intersection of young people and technology, Resnick is Professor of Learning Research at the MIT Media Lab and director of the Lifelong Kindergarten research group. 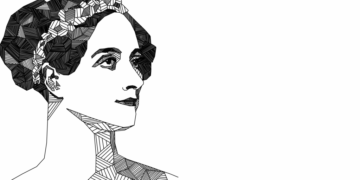 In his article, ‘Learn to Code, Code to Learn’, he argues that bound up in the process of learning to code are wider learnings that engage the mind in problem solving, designing projects and communicating ideas. This echoes the points made in the study, ‘Pre-school children creating and communicating with digital technologies in the home’, that: ‘Young children‘s emergent communicative and creative competences in the early years represent valuable starting points for their more formal development — particularly in the context of early literacy—when they start school.’ The authors conclude that: ‘Digital technologies have the potential both to facilitate communicative and creative tasks and to expand young children’s repertoires.’ These developing competencies can be supported by domestic digital technologies – especially technological toys and games – that families can play with together in the home. The digital world is here to stay, yet there is a qualitative difference between allowing our children to merely passively consume technology, and encouraging them to play a role in actively creating it. We need to give them the tools to learn and the skills to enable them to think for themselves in a creative manner. A highly technical coding toy in a traditional toy package bridges this gap. 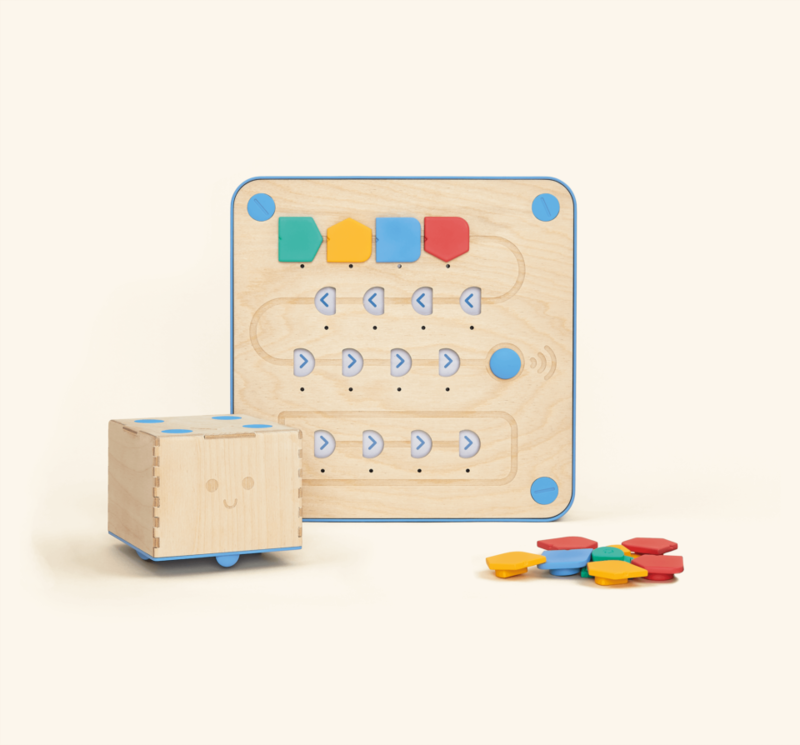 Cubetto is the screenless educational toy that gives children the building blocks to learn about computational thinking and, further than that, encourages creativity and critical thinking. 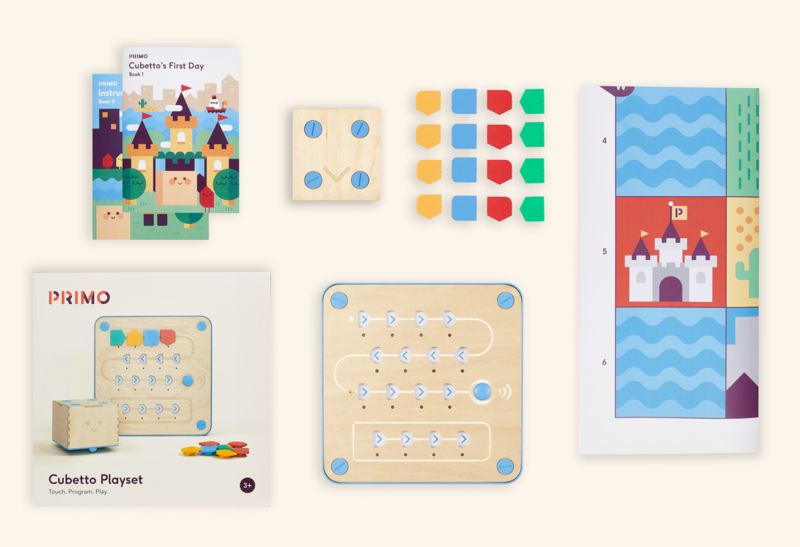 Cubetto is educational for parents as well as adults – there is no need to know coding before you use it. The friendly robot that teaches kids to code is simple, intuitive and fun to use. We are proud of creating the means for parents and children to spend time together in an enjoyable and educational way. We are always gladdened to get feedback from adults who enjoy interacting with Cubetto, and we get a lot of that kind of feedback! Can a screenless wooden toy really help children develop the mental capabilities that will allow them to go on to not only get to grips with technology but to actively create it? 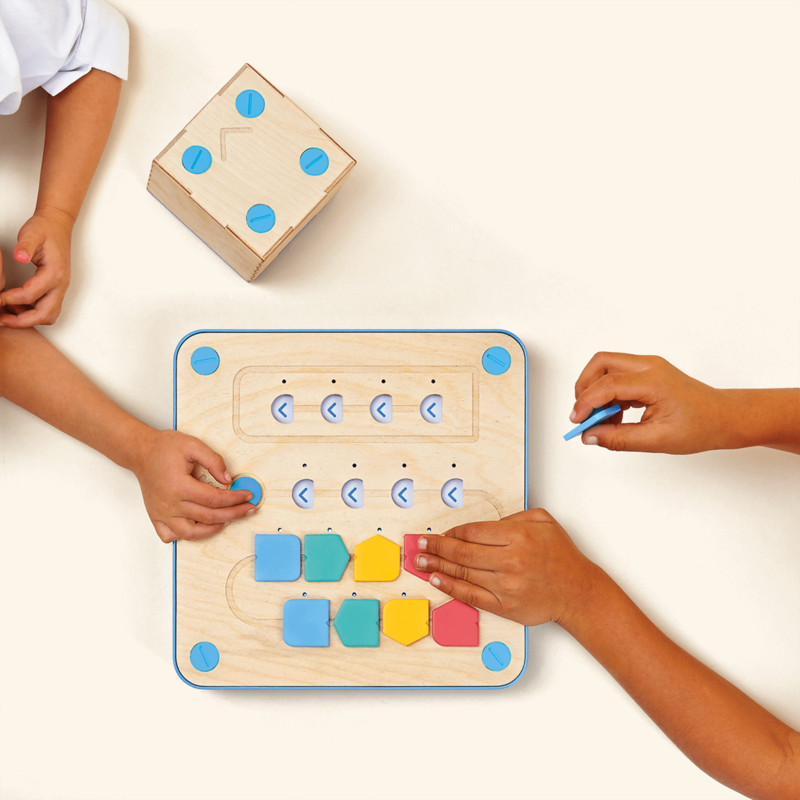 Cubetto was inspired by the principles of Montessori education, which favours toys made from natural materials that encourage children to discover for themselves how best to use them. It may surprise you to learn that Google founders Larry Page and Sergey Brin received such a tech-free education. They provide one of the strongest arguments for the links between Montessori and tech innovation. Hear them attribute their digital creativity to their Montessori nursery at 0:55 in this interview. In fact, the number of tech trailblazers who had a Montessori education is remarkable, from Wikipedia creator Jimmy Wales to Amazon founder Jeff Bezos. It’s a testament to the brain-boosting power of traditional and wooden toys and the importance of nurturing children’s abilities to think for themselves. 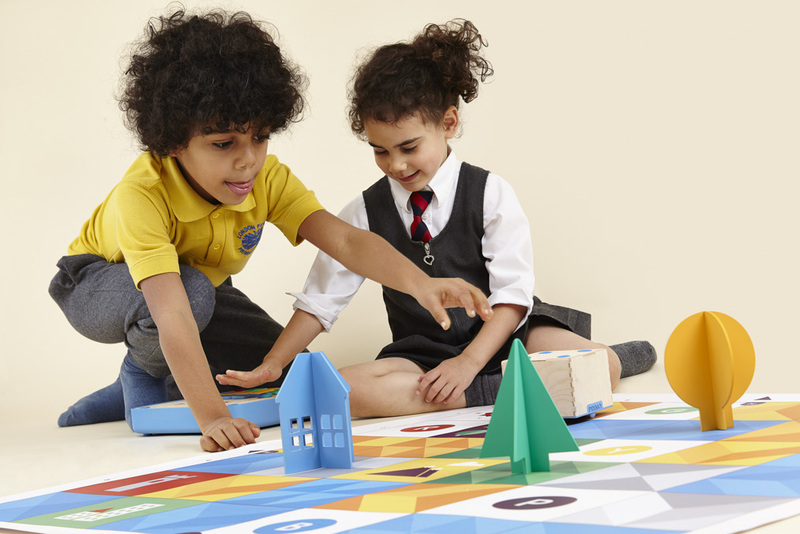 Educational toys such as Cubetto that push kids – in the most enjoyable way – to actively engage with their environment are the best ways to teach kids the basics of logical and computational thinking. This is where Cubetto comes in. The tactile wooden cube and control board are simple to get started with from the first encounter. 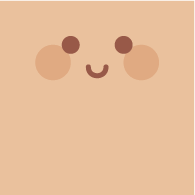 The unique screenless character of the coding toy is immediately attractive to children (not to mention adults with good design sensibilities!). The friendly design encourages them to explore and play with it intuitively. Our culture’s nascent preoccupation with coding can be compared with the first introduction of computers into classrooms, when teachers wondered: ‘What do we do with it?’ . Arguably we are at a similar stage with coding, in that not all educators and parents are familiar with it. Cubetto is so simple and pleasurable to use that the problem of confusion and lack of adult knowledge is solved. 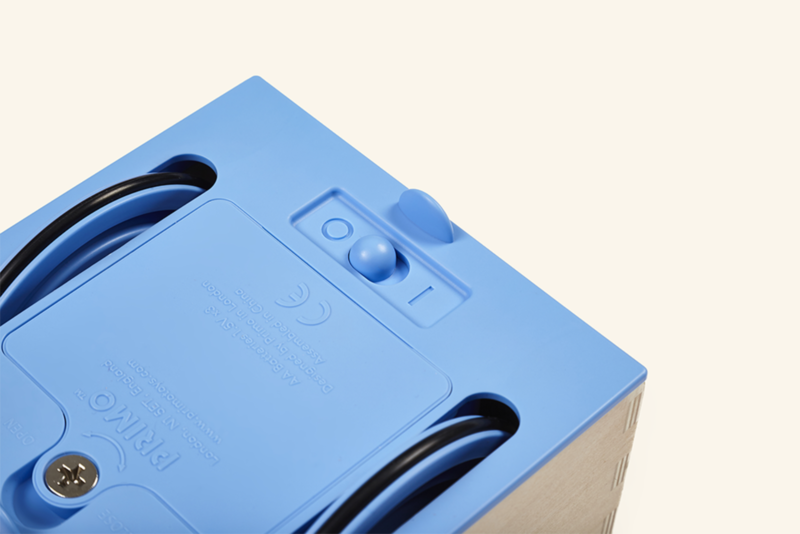 Take the friendly robot out of the box and with the easy instructions you are good to go! How do you go about choosing which educational toys to buy? At Primo Toys we have designed a toy that appeals both to adult design aesthetics and to children’s requirements – namely that it’s enjoyable and engaging! Children find it irresistible to interact with Cubetto immediately once they encounter it, and the learning follows naturally from their hands-on interactions. 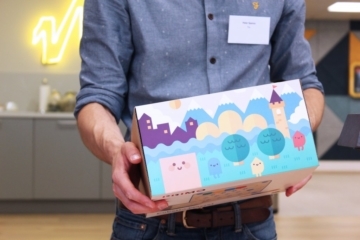 The coding toy embodies a new frontier in digital toys using traditional materials. It helps kids, parents and educators develop imaginative ways of playing with and learning from technology, in the context of communicating with each other and creating something of which they can be proud. We are big proponents of the positive results that come from physical interaction with toys, and Cubetto is the manifestation of our core belief in merging the key assets of historic and modern toys. According to Duke University professor Cathy Davidson, ‘65% of children entering grade school this year will end up working in careers that haven’t even been invented yet.’ The way they will be able to able to invent these careers is playing with a toy like Cubetto, which as we have seen not only teaches coding, but innumerable skills that follow from there. 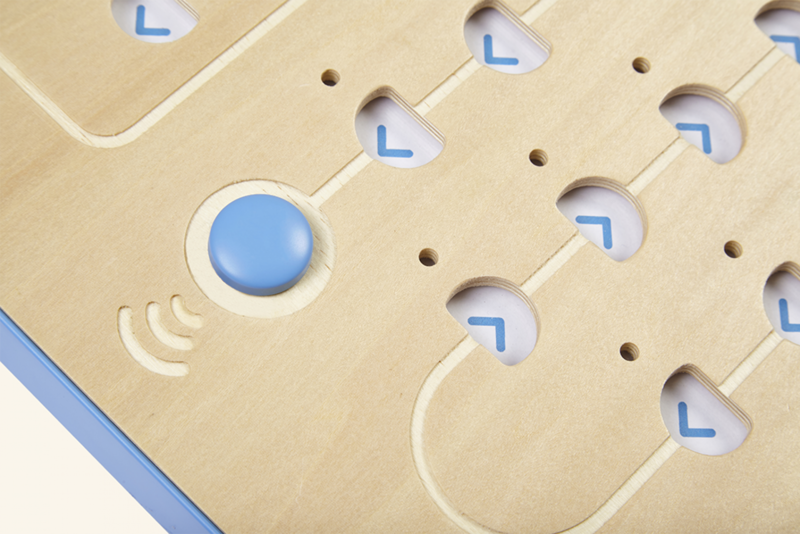 Cubetto allows kids to take charge of inventing their own future. Get them started today! What’s so good about Montessori?